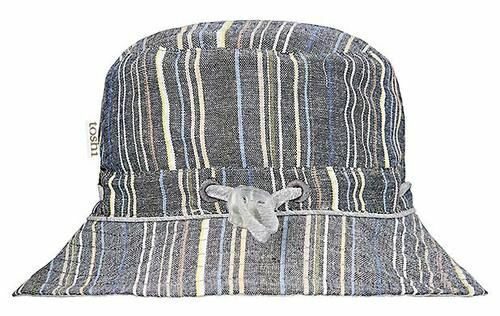 A fresh stripe design design is featured on this bold Toshi sunhat. The toggle on the head tie creates adjustable sizing and the chin tie with toggle secures the hat and offers ease of wear. Toshi Sunhat Sierra is made from quality and durable cotton.